One thing we get asked all the time here in the PR Department is, "Why did you blow up my planet?" The answer is that there are complex geopolitical and socioeconomic considerations that-- LOOK, A WOOKIEE IN A BIKINI! Another frequently asked question is, "What does Darth Vader do inside of that egg of his?" Firstly, it's not an egg, it's a hyperbaric medical and meditational chamber, duh. Get your facts straight before you ask a question next time, hypothetical question asker person we just made up. Secondly, the answer is important stuff. Really important... galaxy ruling and mystically mysterious Force-related... stuff. As well as playing the occasional video game. 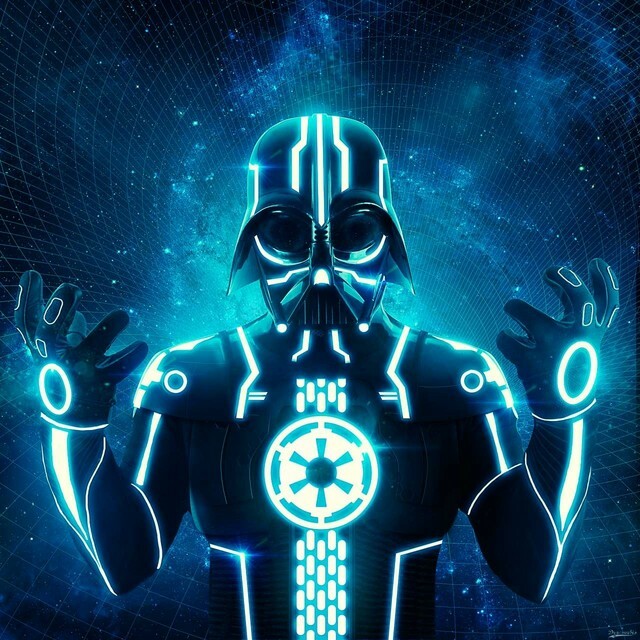 Here's artist Roderique Arisiaman's impression of Darth Vader's TRON avatar. When the Dark Lord of the Sith isn't helping rule our galaxy with a cyborg fist, he's turning the Grid to the Dark Side. That is incredibly awesome. He always looks strange without a cape, though. That is an amazing pic! Kudos to the artist! Another frequently asked question is, "What does Darth Vader do inside of that egg of his?" Firstly, it's not an egg, it's a hyperbaric medical swtor credits and meditational chamber, duh. Get your facts straight before you ask a question next time, hypothetical question asker person we just made up. Secondly, the answer is important stuff. Really important... galaxy wizardry gold ruling and mystically mysterious Force-related... stuff.